As VP of Client Relations, Kaley’s goal is to provide exceptional and personal customer service to each client. She is frequently the first voice you hear when you call or first face to greet you at the door. She is happy to assist in any way possible. 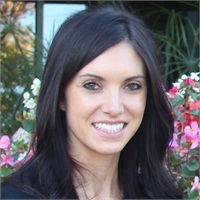 Kaley joined Spelts Wealth Management in September 2011 soon after graduating from California State University, Chico. She finished top of her class earning a degree in Business Administration with a focus in Finance and Accounting. She enjoys softball, going to the gym, and spending time with friends and family.